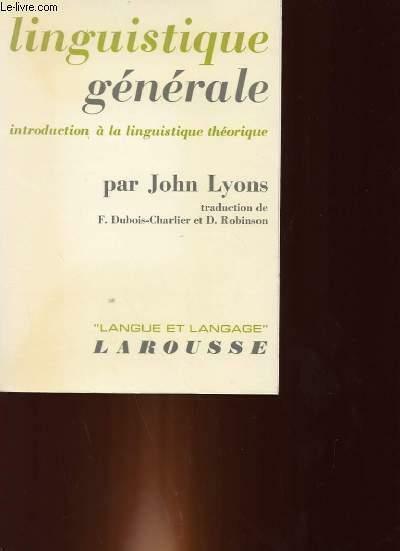 Home JOHN LYONS LINGUISTIQUE GENERALE. INTRODUCTION A LA LINGUISTIQUE THEORIQUE. LINGUISTIQUE GENERALE. INTRODUCTION A LA LINGUISTIQUE THEORIQUE.